When discussing bass fishing’s toughest competitor, I bet the first thought coming to mind are some of the well-known professional anglers who fish the major tournament trails. However, this might not be true at all. Let me begin by saying bass anglers are a very competitive group of enthusiasts. 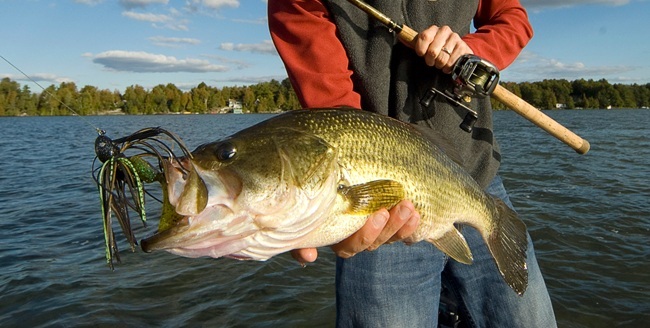 Many bass anglers live for the competition of their local or regional tournaments. A competitive angler will practice for days before an event and are so fired up by the time the tournament launches, they look like a bunch of wild-eyed predators running down the lake with their hair on fire. They zoom to their planned first spot, designated by their secret waypoint settings, when truth begins to infringe upon their much-studied plan. Bass don’t always cooperate. At this point, some anglers will simply head to the next secret waypoint, or they may choose to imitate the infamous Don Quixote approach of throwing everything they have on the boat. By this time the carefully crafted tournament plan is out the window, and the mind fails to recognize the error of their ways until they are back on the trailer or very near weigh-in time. Recalibration of the daily plan is ineffective if the angler is out of time or they are no longer on the water. They calmly take the walk to the weigh in with a bag of fish, most likely not enough to win, but might get them a payout. When the angler returns home after a day of competition resulting in a somewhat bruised ego, the personal soul search continues. Examination of the day’s activities run through their mind with thoughts about the tough conditions they faced. Then they lament the fact their plan for the day was not successful. A thought about what they should have done nags their mind and they often pledge not to be such a scatterbrain at the next event. This is the time when they discover just who is their real competition. To know who your toughest competitor, just look into the mirror. The image staring back is the toughest competitor ever encountered. Say what you want about conditions or bass with lockjaw, the person in the image is the same angler who deviated from the plan by failing to recognize what was encountered on the water. Just because an angler has a plan, does not mean they were correct in the assumptions. We found the bass but could not buy a bite. Instead of thinking through the process, anglers loose control and don’t adjust on a timely basis. Come on, we know this stuff. The next time out, approach the lake with a clear head and do what needs to be done to be successful. Perhaps the next time while looking into the magic mirror, the angler looking back will be a winner instead of an also-ran. The rest of the story applies to those of us who are not tournament anglers. For some, we may have once plied our passion in local tournaments or club events, but now for whatever reason, our fishing is more of a casual undertaking. This does not mean we are not competitors. The likely fact, we also have confrontations with the magic mirror. Even though we are not competing with others, we for sure are competing with ourselves. The search for the next personal best never ends. We also like to catch several bass, and on some days it just does not happen. As we cruise to our favorite haunts, we likely have a plan of some sort. It does not take long for our brains to cramp up and we forget what the plan was or what steps we need to do to put fish in the boat. I have learned over the years when we get the boat back on the trailer and the ride home begins, we will have flashbacks about the day and then will start to think about what we should have done. The other insult we face is if my spouse catches more bass than me and makes sure I am aware of her victory. Sometimes she will even call her friends to let them know of her victorious outing. Okay, so I am a hard loser, and now I must endure the slings and arrows of a bragging spouse. If you don’t think this is a competition, then you are totally incorrect. She even has the gall to comment how since I was the loser for the day it is my responsibility to clean the boat. Then to make things even worse, she will not offer to help with the clean up because she has too much fish smell on her hands. Bass anglers are solitary souls. We will spend hours playing with our fishing tackle. During this time, we will revisit the past days of glory and plan our next outing in the peace and solitude of our appointed sanctuary. This is the place where we catch the most bass even though it is only in our minds. More importantly, it is the place where the bait monkey is invited to spend some time making outlandish suggestions on what is my next must-have fishing tool. The rest of the time is spent wondering if we indeed are afflicted with A.D.D. or some other malady causing us to lose mental control while on the water.